This guide has been updated to reflect recent changes at Simon Malls and to add and edit the details on other sources listed below. A common practice for increasing credit card rewards is to use a credit card to buy PIN-enabled Visa or Mastercard gift cards, and then liquidate those cards by using them to reload prepaid cards, buy money orders, or pay bills. The first step is to find PIN-enabled Visa or Mastercard gift cards that can be bought with a credit card, with low fees, and without risk of incurring cash advance fees. That’s where this post can help. Note that this post focuses on options available within the United States only. Within the US, options vary by region, by county, by store, and even from one cashier to another. On the other hand, the recent Simon Malls announcement indicates that we may see a more consistent corporate policy enacted at their locations in the coming months. You can often find promotions to save on the activation fees listed below. For the deals happening right now, see our Current Visa and Mastercard Gift Card Deals page. Order online through a cash back portal in order to recover some or all of the fees. Card Notes: When first buying cards from GiftCards.com, it is recommended that you start slowly. If you buy too many in a short period of time, they may shut down your ability to buy more cards. Per card fee: $6.95 + shipping. Shipping is either $1.99 per card for first class mail or $7.45 for an entire order with tracking. Portal rebate available? Yes. Portal rates are sometimes better for Mastercard gift cards than for Visa gift cards. Find current portal rates here (but note that you’ll have to click into each portal to find Visa/MC specific rates). Cash back may be earned on up to $60K per month through portals. PIN enabled? Yes. After activating online you’ll be given a 4 digit PIN and you can then change the PIN if you prefer. Credit card category bonus: None that I’m aware of. PIN safe now: GiftCardMall used to sell two types of Visa gift cards. One type (sold by IncentiveCardLabs) didn’t have PINs. Now, they only sell cards issued by MetaBank, so all of their Visa gift cards should have PINs. Card notes: GiftCardMall is known to have an itchy trigger finger when it comes to cancelling orders. If you intend to place larger orders, you should increase order size slowly. Per card fee: $5.95 + shipping. Shipping fees vary depending on the number of cards you purchase and they sometimes run promotions for free shipping. Portal rebate available? Yes. Find current portal rates here (but note that you’ll have to click into each portal to find Visa specific rates). Limit $10K per day / $60K per month through portals. Card notes: If you pay with a Chase Ink Cash (or the Ink Plus, which is no longer available to new applicants), the $8.95 fee is more than made up for by the 5X Ultimate Rewards points earned (5 X 308.95 = 1545 points per $300 card). In fact, if you wanted to, you could cash in 895 of those points to reduce your net fees to zero and still earn 650 points per $300 card (i.e. ~2.2X). Note that the card activation PIN is mailed separately a few days behind your gift card order. Credit card category bonus: 5X Chase Ink Cash (or Ink Plus, which is no longer available to new applicants), Amex Simply Cash, Discover Business. Other category bonuses can be found here. None of the following in-person options provide a way to recover fees through portals, nor do they offer gift cards with your name on them. Many grocery stores sell Visa and MasterCard gift cards loadable up to $500. Card notes: While Visa cards operate normally, U.S. Bank Mastercards do not automatically work as debit cards at Walmart registers. A workaround is to hit the red cancel button almost immediately after swiping so you can change the payment type to “debit”. PIN enabled? Yes. PIN usually comes in the package. If it doesn’t, call 1-866-952-5653 to set the pin. Issued by: U.S. Bank (usually) or Metabank in some cases. Credit card category bonus: A number of cards offer up to 5% or even 6% cash back at grocery stores (found here). Also watch for grocery stores as quarterly category bonus with cards such as Chase Freedom, Citi Dividend, and Discover. Card notes: Vanilla brand cards do not work as debit cards at Walmart for transactions of $50 or more. In my experience they work fine everywhere else. 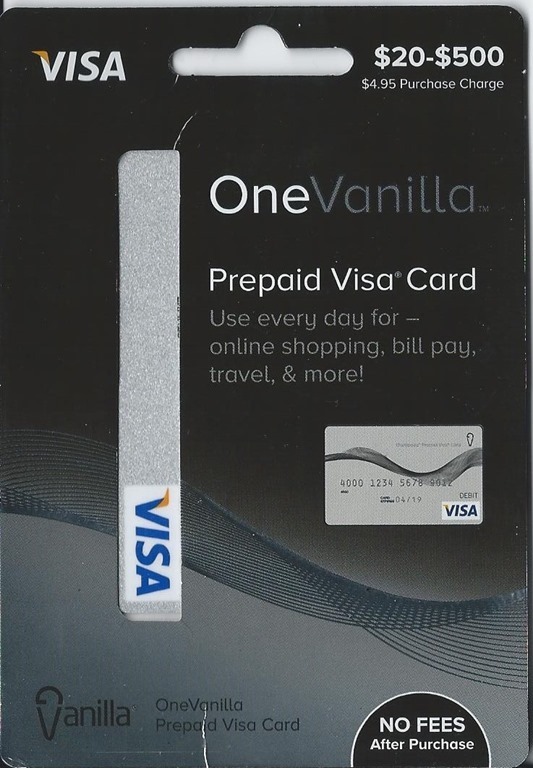 Many drugstores sell Vanilla brand Visa and MasterCard gift cards loadable up to $500. Max order size: Often limited to one $500 card. Credit card category bonus: Some cards offer up to 5% cash back at drug stores (found here). Card notes:If you pay with a Chase Ink Cash (or the Ink Plus, which is no longer available to new applicants), the $6.95 fee is more than made up for by the 5X Ultimate Rewards points earned (5 X 308.95 = 1034.75 points per $200 card). In fact, if you wanted to, you could cash in 695 of those points to reduce your net fees to zero and still earn 339.75 points per $200 card (i.e. ~1.7X). Keep in mind hat office supply stores may also sell “Everywhere” Visas, which are more limited in acceptance though they do have lower fees. Max order size: $2,000 (inclusive of fees), though during promotions you may be limited to 1 card. Some gas stations and convenience stores (which sometimes conveniently code as gas stations for credit card purposes) sell Visa and MasterCard gift cards loadable up to $500. The ability to pay with a credit card varies from region to region and store to store and is often limited to Vanilla brand gift cards. Credit card category bonus: A number of cards offer up to 5% cash back at gas stations (found here). Note that some category bonuses are restricted to payments at the pump — those will not work for buying gift cards. Also watch for gas station quarterly category bonuses with cards such as Chase Freedom, Citi Dividend, and Discover. Many indoor shopping malls have gift card displays, often near the information desk. Visa gift cards aren’t always on display so you may have to ask for them. Card Notes: Some malls sell Amex gift cards, which are not PIN-enabled and can therefore be harder to use since they generally will not work as debit cards. Visa gift cards are preferable. Max order size: Varies. A $10,000 limit (inclusive of fees) was typical, but in February 2019 it was announced that the limit at Simon Malls had been raised to as high as $25,000 for qualified buyers. See this post for more. Cash advance fee? Usually not, but in Feb 2016 there were a few reports of cash advance charges at Simon Malls. That was resolved without subsequent reports. Check your local AAA office to see if they sell Visa gift cards. Often they’ll run no-fee promotions, especially late in the year. Card Notes: Some people have reported that buying gift cards from AAA is a cumbersome and time consuming process. Others have had no such problems. We’ve received at least one report of a customer being charged a cash advance fee when buying AAA gift cards. Make sure to lower your credit card’s cash advance limit below the amount you plan to spend. Per card fee: Varies. Often $3 to $3.95 for members. Sometimes fee-free during promos. Cash advance fee? Usually not. See Card Notes. Credit card category bonus: Some AAA branches code as insurance. If you have a card offering a bonus for insurance payments, you might qualify for a bonus this way. Credit unions often sell Visa gift cards to their members sometimes with no fee at all. When they do charge fees, they’re often lower than elsewhere. One example of a credit union that offers Visa gift cards can be found here. Many credit unions only allow credit cards to be used if you pay with a credit card from that credit union. Ask your credit union whether they accept 3rd party credit cards for these purchases. Card Notes: There is always a risk of being charged a cash advance fee. Make sure to lower your credit card’s cash advance limit below the amount you plan to spend. Per card fee: Varies. $3.95 is typical. Credit card category bonus: None. Did we miss any particularly noteworthy options? Please comment below. Sometimes Discover has offered a 5% cash bonus shopping a certain malls. I’ve only seen this happen Oct-December for targeted Christmas shopping. Yep, they usually offer 5% back for all online purchases in the 4th quarter of each year. Best part is that Amazon Payments count for 5%! Thanks for the good article and tips… nice to know.. Under the Grocery header you show a card that I have had no luck loading to Bluebird recently at the Walmart counter. No luck with a money order either. I was able to load at the kiosk to Bluebird however. Also.. the Vanilla cards that you can no longer use at Walmart…. can you load them to Evolve or somewhere else? I have had consistent luck with the Vanilla cards at Evolve for a few months and as recently as the 2nd week of July. I’m not doing particularly high volume, but the only problem I have had was the duplicate payment issue–always wait 10 minutes between doing payments to the same payee. Vanilla debit can be loaded $500 at a time a Family Dollar. Don’t try to load more than $500 even with a different Serve card, the register will reject the second load and cause you grief. Read FT, there are warnings. Not “just” different Serve. It doesn’t matter “who” does the first $500. Read Kroger signs carefully – mine does not give fuel rewards on the variable load debits. Also, if the Mart has trouble loading dcs onto BB, ask to try the other register. One at mine will not process the transaction, but the other sails right through. Nearly had a heart attack the first time. My Ink cards are still the MasterCards. Should I wait until the annual fee hits to reapply and get Visas? Its not necessary to wait. Its possible to have both the MasterCard and Visa version at once, or go ahead and close the MasterCard ones now. The reason: in-branch, Chase is offering 70K for Ink Plus cards right now. You wouldn’t want to miss that! Or, if you don’t want another credit card, just call Chase and ask them to switch you to a Visa. The benefit for applying for the new Visa versions is that you get the new account bonus again. If you switch them over, you won’t get those. So far, I’ve had the Ink Bold and Ink Plus MCs at 50K each, then the Ink Bold and Ink Plus VISAs at 60K each. I just closed each MC version AFTER getting the VISA. PS – I used FM’s links for all of them! Misty, I have purchased over 100K worth of the same Visa gift card that is shown under “grocery” and have loaded all of them to my Bluebird account. I’ve have loaded them via the Kiosk, Money Center, Customer Service Desk or just the plain old cash register. I’d give it another try. It’s useful if you report your recent experience. It seems you are having difficulty. If I’m not mistaken, the card shown under the grocery category is a US Bank card. Does anyone know if US Bank cards have a default pin like Metabank (last 4) or Vanilla (any 4 at first use). They are easier to buy around here but it would be nice to not have to spend time calling to activate them individually. If you buy new ones, yes. It comes with it. Since you haven’t bought it & test it yourself, you don’t know. do you get the 5x points with the ink plus card at staples.com, not just in the store? FM, your wrote “Some gas stations and convenience stores … sell Visa and MasterCard gift cards loadable up to $500”. Any statewide chain stores in SE Michigan? Speedway doesn’t seem to be selling them anymore ..
Not “seems”. $500s were pulled. Only $200 so doesn’t make any sense using 2x. FYI- gift card purchase from Staples on 05/11 through uPromise is finally getting tracked. I know the unofficial date was 05/12/14, but some have had purchases close to that date not tracked. Did take a couple of emails, but glad to say the response from uPromise has been great. The 5% helps offset the fees and some. Maybe the end of manual adjustment is near. Everybody’s doing it & asking for manual adj. I read in a Travel with Grant comment section that Vanilla Visa cards now work at Walmart again. Has anyone here had success? I’m still skeptical of OVGCs working at Walmart. I would use different Visa GCs there. You can use OVGCs at other places to buy MOs. I tried last week at the kiosk loading to Serve and OV didn’t work. Just got an email from GCM and they said if my order is for personal use they can’t process it. If it’s for business I need to give them a ton of info. FM, is this what you mean when you say GCM holds up orders while they verify? Very annoying and I never had this happen before. I’ve never heard that restriction from GCM before.. I buy $9K at a time from them commonly. Has anyone else heard of that restriction? Yes, that’s correct, unless you have a card that offers 5X at drugstores, etc. With that scenario you’ll pay about 1% in fees in exchange for 5X returns, which is a great deal. I dont think you can get cash back on the gift card mall e-gift card. I called customer service and they told me they dont offer cash back on that product since gift card mall doesnt offer it. Unfortunately, its extremely rare for telephone representatives to know anything about what works or doesn’t work with portals. Unfortunately, rather than admit that they don’t know they often say things that are wrong. The only way to know for sure is to do a test purchase yourself. Hello. I purchased two GCs from Staples today. A $200 MC and $200 Visa. Went straight to neighborhood WM to transfer to BB. The Visa went through successfully by using last 4 digits as PIN, but the MC did not go through. Does MC require prior registration to obtain PIN before it can be used as Debit? Thank you so much! I religiously follow your blog. Bought a $500 Visa GC last week at Reasor’s grocery in OK, went to WM and loaded to BB easy (just used last four digits on card). Yesterday went to Reasors to buy Visa GC but was denied. I told them “last week” but they said that person shouldn’t have let me. So now back on the hunt for stores that sell Visa GCs with credit card. Has anyone been successful getting 2% TCB from GCM for the e-gift cards lately? My purchase from 7/31 shows 2% but the others show $0 and ‘pending’. Another reader told me the same: that recent orders of e-gift cards from GCM didn’t result in cash back. I’ve updated the post with a note. Anyone have experience with Giftcards.com? The Simon mall GCs are still working? Before I left on my 4 week trip I read about 1) the cards not working at WM to load BB, and 2) the workers at the Simon mall kiosks refused to sell Visa GCs anymore. I’m curious what you mean by Simon mall gift cards now being loadable to 1000. I just checked the website and I can only load their visa to 500. Do you mean in person at their Kiosk? Would love to load 1000 at once. Also curious. I’ve made two trips to two different Simon Malls this month. Each rep said $25 to $500 in their speal. I even had one rep ask me to fill out a “Government Tracking” form since my purchase was over $1000. Don’t think I’ll be going there again for lager buys. I’m curious if any of you know of any cards that provide more than 1x on Simon gc? The staples visa debit cards at $200 each is a huge PITA to load any decent amount, especially with Walmart cracking down recently. I’ve used my new Arrival + last Friday and the points have already posted. I like how Barclay’s updates as you go instead of at the end of the cycle. I’ve also used my new Club Carlson card, but that transaction is still pending. With the Arrival you 2x the points and with the Carlson, I should get 5x the points. Since both are new, I am trying to make my minimum spends. Otherwise I just use my Discover to meet a $3k a month min spend challenge. Unfortunately it only gives a 1x cashback. Sorry, more info about the $1K gift cards: only some Simon Malls are offering them and, of those, I believe they are only offering them for businesses. The post has been updated accordingly. Can you still use gift cards to load Bluebird at Walmart? I was told at my local Walmart that they were not doing it anymore? Also, the $500.00 gift cards at CVS, are all Vanilla? I just cancelled one of my Bluebird accounts, because of this. Will now open a Serve account, but liked being able to put $5000.00 per month into Bluebird. Please let me know if I have the correct information. Some Walmarts have stopped allowing it, but its still possible at most of them. 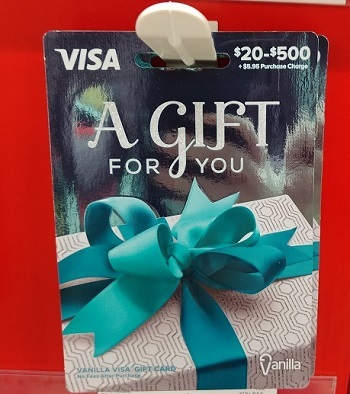 Yes, at CVS all of the Visa gift cards are Vanilla. Try a grocery store instead. Note that you can also load Serve at Walmart (same way as with Bluebird) so if you find a Walmart that allows it, you should still be good to go. Thanks for all of your information. I am trying to buy a visa or master gift card at QFC. It is grocery store near by my house. Is is ok to purchase by CITI AA CREDIT CARD? Because of my minimum spending requirements. Are they charge CA even if i buy at grocery store? Yes, that’s fine since it will look like a grocery purchase. Yesterday I purchased a $500 Visa gift card from one of my local Simon Mall’s. They raised the purchase fee by a dollar to $3.95 if using your card. The $2.95 fee remains if you pay cash (which is a moot point for us, but worth mentioning). The girl behind the counter said this was a new change starting on the 24th (yesterday), but I didn’t see any flyers or literature before yesterday. Glad I already made a few purchases this month. I did call another Simon Mall and inquired if their fee’s had increased, which I was told the same thing. This could possibly be a system wide change. I believe that’s nationwide. Thanks. I’ll update this page. Do you know if the $500 Visa gift cards issued by University Bank can be used to load to Bluebird? My local supermarket has these but I’ve never seen them before. I’ve called two credit unions. Both code a gift card purchase as a cash advance. Also, Simon Mall won’t let you get a business account without a TIN. A SS# won’t work. Does Gift Card Mall not accept any Amex credit cards at all for Visa gift cards? In trying to meet some minimum spend on a new Amex, Gift Card Mall canceled the order. It was just for one gift card, was not using a cash back portal, and I have bought from Gift Card Mall before, so nothing strange about the order. Were you paying with a real Amex credit card or an Amex gift card? GiftCardMall definitely doesn’t accept Amex gift cards as payment anymore, but they should accept regular Amex cards. You could always call them to ask what’s up. It was a regular Amex credit card, not an Amex gift card, but i will try again. Gift card mall + purchased with Citibank card = cash advance fees? my order for 6 giftcards of $500 each got cancelled, even though all information was correct and transaction was approved by My American Express CC. Any idea why? GCM cancelled order without any explanation, mf’ers. So if the VGC comes with ‘Gift Card’ mentioned on the card itself, would it be a problem to load the Redcard at Target store with this VGC as a Debit card (despite it showing Gift card written on it)?? Depends on the store. I just got back from one where the target employee required i my form of payment (VGC) to match the name on my redbird card and ID. But even if the VGC has ‘Gift card’ written on it, you can successfully charge your Redcard at Target using that VGC as Debit card right? As Jay said, it depends on the store. Many Target stores allow it, but some do not accept gift cards as debit cards. I went to CVS today to buy a $500 GC. I want to download the “debit card” into my Redbird account. They only had Vanilla cards. I didn’t buy one because I’m not sure Vanilla will work. Will it? Yes, at Target, you can use Vanilla Visa debit cards to load REDbird. Some stores don’t like anything that looks like a gift card and/or they insist that the debit card has to have your name on it. But, most Target stores are fine with it. Thanks for the info. Will buy Vanilla tomorrow. I am so confused about the whole MS thing. I have just decided within the last week that I was going to get a credit card to earn miles. Then, in my research I came across all the MS stuff and I am intrigued; albeit, confused. It seems like there’s so much conflicting information, sooooo many posts and forums on this. Is there a fairly straightforward and update to date tutorial on all this? I can probably get all 3: RB, BB, Serve, getting 1 for myself and the others in my daughter’s names. Anyway, thanks for any help anyone can offer. I have been reading so many blogs, forums, posts….it’s all turning to mush and I want to be able to understand it so I can increase miles earned. Thank you! Yes, that’s the theme I am seeing for sure. Things that work one day might not work the next. I thank you for taking the time to respond. I will take it slow to start out and not get in over my head. I think the churning of the credit cards might be the better option. I will continue to think this this through. Again, thanks! Gas Stations no longer carry Visa or Mastercard gift cards…at least in NY and Westchester. So if for some reason you don’t have an ink card to buy them at Staples (like me, denied for having two many credit cards opened in the past two years), this is no longer a good way to earn miles. You can still use cards for CASH back at grocery stores, but there is no good way to earn miles. Can someone confirm if Visa Gift cards are still being sold at gas stations? I called every gas station listed by Visa’s Gift Card page and all of them say that they stopped carrying a long time ago. Are any of the big names still doing it, like BP or Shell? The best way to confirm something like that is to stop at those places while already out and about. It’s largely location dependent so it may work in one area and not in another. I just went to GiftCardMall and am only able to buy Visa Gift Cards up to $250 a piece. Just two weeks ago, I purchased 10 Visa Gift Cards at $500 a piece. The lowering of the limit to $250 makes it more time consuming and increases the fees. Has anyone heard of this? I’m going to give them a call and see what they say. Yep. We removed giftcardmall from this post for that reason. Thank you for updating this. I am just beginning to research the PIN enabled method and this is helpful. Is Agfed now requiring that visa gift card purchases be made only by an Agfed card? Any new experiences? AgFedCU: it is a hard inquiry !!!! — they’re scrutinizing every new member that wants to join. In addition, there is a new fee they are charging if you decide to “close” your accounts, of up to $300 (depending on how long you are a member). Thanks FrequentMiler for the great website. I have a question for you and your readers? Is anyone having success purchasing Visa Gift Cards at their credit unions without the charge being processed as a cash advance? Thank you. Why, has this been an issue for you? No, but only because I haven’t purchased them at my credit unions/banks. When I have asked in person, without fail, each has made sure to inform me that the purchase codes as a cash advance if I use a credit card. Thank you! It’s best to test for these things locally. Do a small purchase and see how it posts. They’re always going to say it will post as a cash advance since you’re basically buying money with a small fee. Or you can call and set your CA limit to $0 or something very low which will be declined if it does run as a cash advance when you buy it. Thank you Ken for your advice! and, Thanks Frequent Miler for your invaluable website. Just got an email cancelling my order of $2027 for 4 GCs on GiftCards.com…I read reviews that they will sometimes ban you from the website after that. I have to see if that’s what happened. Anyone got any advice how to avoid that? Just got rejected at GiftCards.com even after creating a separate username with separate email….this time for a simple 500 dollar order….anyone weigh in on how GiftCards.com decide to cancel an order? I don’t have experience with that. Anyone else? Thanks for the reply. I decided to forego giftcards.com because of this…I may try again in a month or so. On a separate note, I tried reloading BB the other night and was told there was a $100 limit. The associate looked like he has no idea what is going on and I was with my wife so I decided to call it the night. Will try again tonight…but this limitation cannot be real. Can Visa Gift Cards from giftcards.com be loaded to Serve at Walmart? Actually, maybe not. Doctor of Credit says no. Do VISA gift cards bought at supermarkets earn x2 when I use AMEX Everyday? T&C says “…..do not include purchases or reloading of prepaid cards, purchases of other cash equivalents, …..” I am getting ready to buy 10+ cards in the next two months. Any confirmation is much appreciated. I believe so, but it would be good to confirm with someone who does this regularly. Anyone? I hit my $6k max in January, so it’s been several months, but my gift card purchases using my everday preferred at grocery stores coded correctly to receive the bonus. I can confirm that VGC purchased at grocery store using AMEX Everyday earns x2. I am noticing fewer places here with the 25-500 variable load limit cards. Some stores carry signs that make it look like they are supplied by Gift Card Mall. I see they have a limit on their website of 250 bucks now. Is this going to be the situation in stores they service with gift cards as well? Does anyone here know? Updated the GiftCards.com section to add a free shipping code, information about their rewards and to confirm that the cards do work at Walmart to load Bluebird/Serve. FYI – you put 2016 as the year this was “updated”. Thanks so much for updating though, this is exactly what I was just looking for. Future proofing! Just kidding. Thanks for pointing that out. It has been fixed. I’m glad the resource and update are helping. Do you know if there’s any special technique required to load the VGCs from GiftCards.com to Bluebird (e.g. having to push the debit button at a certain time during the transaction, etc.)? My local Walmart still accepts VCGs for MOs and Bluebird, but I’ve read conflicting reports that these cards (from GiftCards.com, issued by Bancorp) just do not work at Walmart at all, whether purchasing MOs or loading Bluebird. Your update is the most recent I’ve seen, so just wanted to hear your thoughts. They have worked for me without issue several times. The last time I tried was about two weeks ago, however I haven’t heard of anyone else having issues since then. The ‘Shiphappy’ promotion does not work for all kinds of shipping, so if you can specify, how many gift cards to add to cart, and what kind of shipping needs to be selected, it will be easier for customers to buy/follow the instructions…. The code works for a total of $1,500 in cards and I had already included that language. You make a great point about the shipping type. I have added that the code works for “first class shipping”. Thanks Rahul! Does anyone know if chase Ink plus business card can be used to buy these GC at giftcards.com without being treated as cash advances? is there a list of CC that does get treated as cash advances for such purchases? I am completely New to this. Now i got my 3 new credit cards and i have to do 7000$ minimum spend with in 3 months from now.How to Achieve this in a Easier way? I got my One Vip Serve card today. Now how should i start? 1) I have to buy VGC/MGC which has PIN with credit card at some stores worth 500$ and load my serve card at Walmart /Cvs? 2) If it is VGC/MGC , is there any specific cards to buy that can be easily loaded to Serve card? and are these gift cards Use and throw? or Just buy once and load the money at the register each time we visit store? 3) Also why people buy Amex gift cards with credit card and then use AGC to load the VGC/MGC again making it a 2 step process ( Why not buying the VGC/MGC directly with the Credit card because buying AGC and then buying VGC/MGC with the AGC will make us to pay Gift card fee 2 times) ? Am i missing any thing here, Please help me out…. 3) When going through portals to buy Amex gcs you can sometimes earn more than enough cash back to make up for all of the fees (and then some). Unfortunately, that has become harder to achieve recently so I’d recommend against this step for now. I saw a $50-500 Vanilla Visa card today at Rite Aid today. The T&Cs said that it couldn’t be used for cash. Does that mean I couldn’t use it to reload into Redbird? No, it probably just means that you can’t take money out of the card at an ATM or at a bank. Has anyone had a problem loading with the Giftcard mall Visa GC onto Redbird? I tried to load two $500 cards yesterday. One went through no problem. I got an error message “Unable to contact issuer” on the second card at two different Targets. Hmm. Did you try reloading the other card next day? Sometimes the redcard takes only one card a day, although the loading limit is $1000. I’ve been having issues with Chase CCs being declined for VGC purchases at Walgreens and Office Depot. Is anyone else having the same issue? Hi, I am newer to this, please answer it for me…. A) Can i buy the Visa GC’s FROM http://www.giftcards.com, and use them to Load Bluebird at WM Stores? Or these GC’s are only valid to load Redbird at Target? B) Do Giftcards have to Under my name when i order them, which then i load at accepting store, or I can order under another person’s name and then can use them to load? In short, does it matter under whose name the Visa GC Is WHEN Loading at either Target or WM? A) I believe so, yes. B) Some stores will check the name on your gift card against the name on your drivers license, so ideally those would be the same. You can buy a simon gift card at the mall with cash (only $2.95 fee for $500 when buying with cash) and when you call to register the card, you can make up a fake name and use your po box street address or home address (so the address check matches when you place online orders). The post office does not care what name is on the packages for delivery they’ll still deliver to your box/door despite fake name. This prevents your real name from being associated with your address, thus confusing data brokers. SHIPHAPPY code no longer works for Giftcards.com. Can someone explain if the $1500 for which is the apparent limit for this code a one time limit or cumulative? Thanks. There’s a new code. On the page where you activate your cards, after you activate a card, the screen displays a shaded box with one of two offers. One of the offers is for free personalization on your next order, and the other is for free USPS shipping. Both valid thru 9/30/15. Is there a $1500 limit? 1) is the $1500 limit still there or one can buy bigger amounts? 2) is this new code ‘Person specific” or Universal like SHIPHAPPY? If for all, can you share it here? Kroger is selling 20-500 GC issues by US Bank. Can I reload Redbird with them? Anyone did this already? kroger’s variable load cards work great. when you open the package, it includes the pin code for the gift card. i bought 2 $500 gift cards & went to Target in Nashville & it went great. Thank you Leo. Have you tried with the $100 fixed ones? If i am not mistaken, you still pay some activation fee/charge for buying this Gift cards at Kroger right? Or there is a rebate to get the activation fee waived? No rebates. They still charge the fee but there was a 4x fuel points this past week that made it worth it for me to reach credit cards bonuses. I asked my credit union if I could buy Visa gift cards using a credit card not issued by the credit union. They said, “Sure, we’ll just run it as a cash advance.” Good question to ask before buying!!! Not only have they scratched/cancelled the free shipping (they said people abused the code for free shipping), but now card fee is increased by them by $2, i believe. ($4.95 to $6.95). Now believe me, they will bring back free shipping, which will be cancelled by their processing fee hike. Time to move away from this money sucking company, if there is any other better option. Are you aware of their rewards program their cards are practically free what could you complain about? In the past with free shipping you actually made a few cents now $500 card cost you a buck something. Good luck finding something cheaper!!! Dude, looks like you are personally offended….you work for that company? I was just stating the facts…..it could still be the best option out there, but never hurts to ask and explore other avenues…….it is a fact that they hiked processing fee, and considering the no. of orders they are getting (said their free shipping was abused badly with multiple such orders), am sure they are making a fortune………..small but snazzy and cunning hike by them……..again just stating the facts………if you are their CEO or partner, do not feel bad bout this……….Mate!!!!!! I loaded one $500 VGc From GC.com at Target to my redcard. The transaction went through initially but then got declined and i got both receipt of intial transaction and decline that the agent at target gave to me. Now my Target redcard account does not show that balance of $500 added, as well as when i dial to check balance on my 4500 VGC, it shows balance as ZERO DOLLARS. Meaning those $500 have disappeared somewhere in virtual world…………what is the BEST WAY TO GET THAT MONEY BACK? Did anyone else have this kind of situation? Who do i call and what do i do? Will appreciate a prompt reply. Wait a few days. The funds should reappear on your VGC eventually. If not, you’ll have to call the Redcard people. I had that same issue, I waited the few days for the money to be reloaded onto the gift card but it never did. After about 2 weeks of waiting I called Visa and filed a dispute. They had me fill out an affidavit and provide the proper paperwork as proof that a purchase didn’t take place. About 2 months later I got the money back. It was extremely frustrating. Thanks for all your info. Saw a comment saying agfed no longer takes CC. Have you used recenltly? I was just about to join. I haven’t ordered recently, but I just added a card to the cart and it still let me put in credit card info for payment so I assume it would work. Do you know if the Visa gc from Staples works for reloading Serve at FD? Thank you. I found my answer! Thank you! Looks like Loading VGC to redbird at Target is DEAD DEAL Now (via http://www.doctorofcredit.com). Anyone facing problems loading VGC from GC.com to Target RC’s? what is the best and least expensive option to buy Visa or MC GC’s? GC.com has removed USPS shipping and free shipping codes, making it tad bit more expensive. Shopping Malls tend to be the least expensive. Usually $3.95 per $500 card. $3.95 if you pay with credit card, $2.95 if you pay cash for simon gift cards at the mall – $225 max for amex, $500 max for visa. which shopping malls? Simon mall in Dallas charged $7.95 fee for $500 giftcard, plus tax. Any option for buying visa gift cards online . I am mainly looking for MS opportunity on Citi Att card which give 3x points. i cant sign up cards for bonus points . Credit score just in 700s…..So need to rotate just using 1 serve. Is it ok to deposit Money orders into bank accounts. Do we need to show this money flow in tax submissions. Department Stores & Clothing Stores are listed as 5% Cashback with Discover through December. If I purchase Simon Visa gift cards at the mall, will they trigger for 5% cash back? Ah well… Thanks for the quick reply and having such an incredible site. I’m learning a lot (already earned a Southwest Companion Pass and had free Marriott stay with hubby). Thanks again! Any Simon Malls in Ohio? How can one find them? And how can one find out what fee they charge? Also one has to pay sales tax on purchase of these gift cards when bought from there right? Yes, there are a number of them. You can find them here: http://m.simon.com/malllist.aspx. Wow thanks. In that case, this is cheapest option right? $3.95 fee for %500 GC compared to More expensive GC.com and GCM.com? Do Simon Visa Gift Cards work for BB Loading at WM? Can someone confirm? It says that the maximum load from a debit card is $200/day, $1000/month. Isn’t that a change from $1,000/$2,500? I did, in fact, load up my serve card at Walmart with $2,500 just today (November 1) with five $500 debit cards purchased at a grocery store, but this worries me. Anyone know if this is a change? That’s not a change. That’s talking about if you have a (real bank) debit card linked to your account online the max you can load online is 200. In store loads like you talk about fall under the “cash load” section. You’re fine. How much can one Load via $500 GC’s at WM for BB per day and per month? Is monthly limit reset 1st of every month or from time of last transaction/load date? Also once i close my Redbird, how long should i/do i have to wait to open up either Serve or BB? What is approximate time to receive gift cards from AG Fed? Meant to also ask- how important is variety on where purchases are made? If All MS is from the same source will this lead to questions from BA, Citi and Amex in particular? I haven’t seen any problems with buying all from one source, but it can’t hurt to mix things up a bit. Could you please add to your blog a list of place where to buy VGC with CC in Florida? The section of your post concerning Officemax states that you buy variable load gift cards with a credit card. I thought that was changed recently and no longer applies. Do you agree or did I miss something? Looks like Agricultural Federal Credit Union stopped selling visa gift card online. Giftcards.com now appears to be allowing $500 per card. I took my BB at WM to load Debit cards and it did not work….was it a technical glitch/one time error or i just found out that This option has also ended like Redcard at Target? wow no one here has manners to reply to my BB loading question? what kind of idiotic website is this? Do you want everything handed to you on a silver plater. Greg is just one man. Do a little Googling. The sky isn’t falling. It must be a glitch or you’re doing it wrong. Why don’t you explain what you did, so someone can better answer your question. Sounds like someone bought a Vanilla card…or maybe even an Amex…. I went to 2 different WM’s, one flatly refused to add funds saying only cash will be allowed, and other one let me do only 1 GC of $500, no more saying it is not allowed…..anyone else facing similar problems? What are the options in that case? Would appreciate all options in this scenario……. Kroger does not give Fuel Points on variable load gc’s. Also, they do not sell $200 gc’s so you are stuck with the fee on $100 cards if you want the points. Added back GiftCardMall as an option for purchasing customized $500 Visa gift cards. why? is it easier to get them now and what about suspended accounts etc etc? Could you list some gas stations that you know sell visa gift cards? I went to quite a few and none have them. This varies greatly by location. In some areas it’s impossible (or very difficult) to find a gas station that will let you pay with a credit card. In other areas, it’s easy. Some people have luck at 7-11 stores which often code as gas stations. 1) giftcards.com is not providing G rewards for visa gift card purchases, right? 2) Giftcardmall is sending pinless giftcards right? what are the best options to buy these giftcards now? any ideas/suggestions/thoughts? 2) GCM claims that they are now only sending out PIN enabled cards, but we don’t have proof of that yet. I went to a Simon mall (Virginia Center Commons) yesterday 1/6/2016, and was told that there is a new daily $3,000 limit (inclusive of purchase fees) when using a chip-enabled credit card. I had to limit my purchase to 5 gift cards. More importantly, I was given a flyer that indicates that beginning on March 1, 2016, gift cards will no longer be sold at Virginia Center Commons. Gift cards will still be available at Simon’s website, but I understand this is a less economical way to purchase gift cards after shipping fees are added. I would be curious to see if gift cards will continue to be available at other Simon malls or if this is a Company-wide change. So far, the Simon Mall near me in Michigan still has a $10K limit and no word that they’ll stop selling. I wouldn’t be surprised, though, if it happens eventually. I wouldn’t be surprised either, since mall cards can be purchased with cash anonymously and then registered w/fake name for your privacy protection considerations. However, neither the data brokers nor the powers that be like privacy or anonymity. They want to who what where when how and everything else about you at all times. Updated page with new portal option for GiftCards.com. Also added note about Safeway stores (and subsidiaries) no longer stocking variable load gift cards. Can you provide updated/latest info about which giftcards STILL WORK as debit cards to upload to BB at WM? 1) I have been hearing conflicting reports about Simon Mall GC’s not longer working for BB and someone told me Giftcards.com DO not work. I infact tried to upload $500 visa GC from Giftcard.com and despite 3 tries, transaction was denied for BB at WM. So provide exact details of which ones are working and which ones are not……. 2) Lastly, does giftcardmall now send only cards with PIN or this is still not confirmed? ANY INFO ON THAT? 1) I haven’t seen any credible evidence that GiftCards.com or Simon Mall gift cards have stopped working at Walmart. I believe that a lot of the reports are from people who got their Serve/Bluebird cards shut down but didn’t realize it (maybe emails went to spam, for example). I just came back from WM….Loaded $500 Simon GC to BB, no issues. But $500 Giftcards.com VGC got denied. So i can officially say, the VGC’s from Giftcards.com do not work for BB at WM….Hence no buying of these giftcards from them, buyers please buy at your own RISK…. Thanks for that data point. Maybe something has changed with those cards. giftcardmall.com has a $2 off per Visa Gift Card promotional going today, and no shipping fee. promotion code is newyou2016 . WHY are you encouraging people to buy from giftcardmall.com when there is an issue about them sending PINLESS visagiftcards? And even if it is a pin giftcard, does it work for BB at WM? I heard the giftcards.com VGC’s cannot be loaded to BB at WM anymore. I’m not intending to encourage people to buy from them. Just listing it as an option. The risk of getting a pin-less card is discussed in the post. It is very important that you contact us in regards to your referenced order. We apologize for the inconvenience, but your online security comes first! Your prompt response will allow us to process your order as soon as possible. Unfortunately, if we do not hear from you within 5 business days, your order will be auto cancelled. Just a reminder, Visa gift cards do not come with a PIN, cannot be used good for cash back, or online bill pay. Our hours of operation are, Monday through Friday, 8:00 AM and 6:00 PM CST. Thank you for using GiftCardLab! You can always contact us using the “Contact Us” Page from the website. Our hours of operation are Monday through Friday 8:00 AM – 6:00 PM CST.